Last month a lecturer friend at a Norwegian University asked me and several other photographers to supply a video clip with a quick bit of motivational advice for his photography students. It set me thinking as this month I’ve turned sixty and have been a photographer since being a teenager. What advice would I like to have been given as a young teenager just starting off in this business? Here is the video and following is my take on thinking out of the box as a creative photographer plus some other advice as well. A BBC aerial rigger at work. Photograph by John Robertson. Sometimes it’s good to look past the obvious photo. To take a sideways look at the subject. The Guardian newspaper sent me to photograph the famous ‘World Service’ BBC aerials at Daventry being demolished back in the early 1990’s. Transmitting since 1922 and most importantly throughout the world during world war two, the station at Borough Hill was eventually closed. On the day I arrived I faced a serious problem- thick fog! The array of aerials had disappeared beneath a white blanket of the stuff. Eventually the fog cleared enough for me to be able to shoot one of the riggers starting his climb to the top by using a 20mm lens and looking up into the structure. 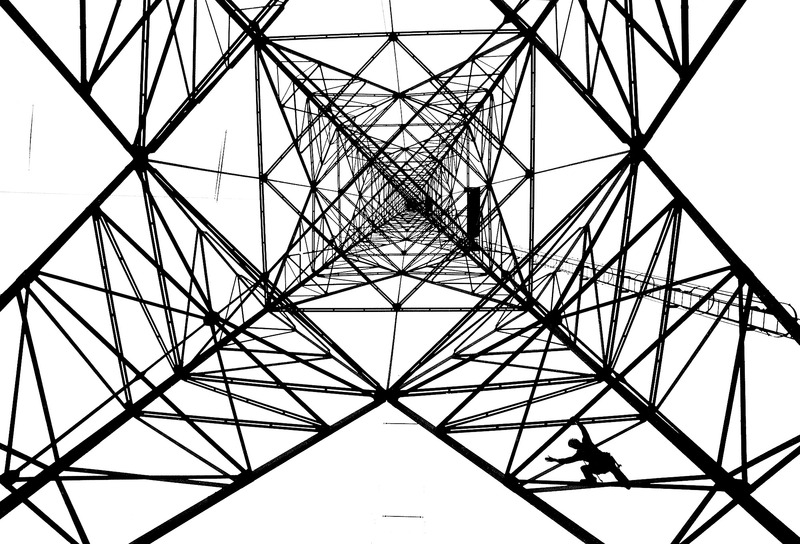 In fact the fog isolated the pylon and made the photo more graphic than it would have been in good light. The Guardian ran the photo at half a page size and I learned that sometimes by thinking out of the box it’s possible to turn a problem into an advantage! A spectator at Henley Royal Regatta gets a dunking. Photos by John Robertson. Often as a photojournalist we have to react quickly to a situation without thinking too deeply. Instinctively in fact. But sometimes a photograph comes about because we did think about it. 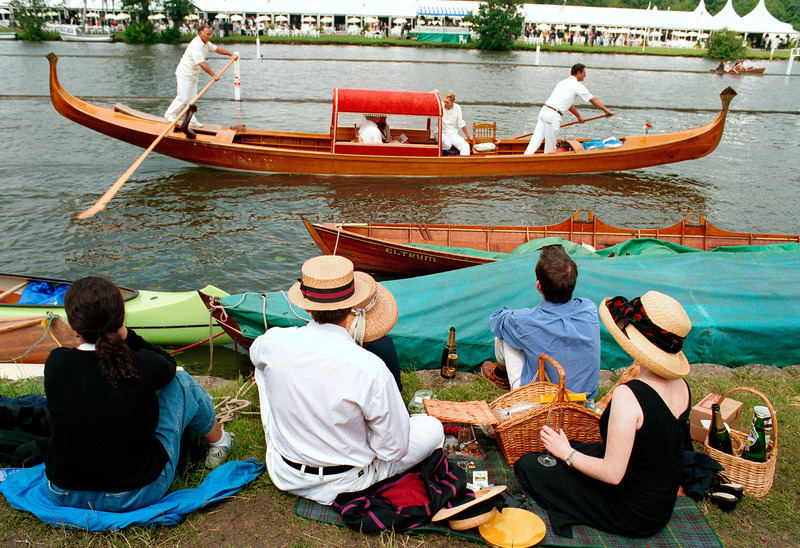 An example is when I covered the Henley Royal Regatta for the Telegraph. This first set of images was made as a slightly the worst for wear spectator lost his balance. I reacted to the situation and was fortunate to capture it happening as a motor-driven sequence. The second example from the same job is an example of a bit more thought going into the image making process. Picnic on the bank of The Thames. Photo by John Robertson. I had seen the spectators enjoying their champagne and strawberries picnic and it reminded me of the famous photo ‘Picnic on the banks of the Marne’ by Henri Cartier-Bresson. How nice if there was a boat going past, I thought. Sadly there wasn’t, so I abandoned that idea and moved on. About half a mile further down the River Thames a gondola suddenly appeared, being rowed towards the spot where I had seen the picnickers. I probably achieved a new world record as I rushed back to the site and arrived just in time to reel off three shots as the gondola swept past. It was only after it had gone that the picnickers noticed I had been taking photos! I’m not comparing my humble snap to the work of the master, but it did make it into The Telegraph. My photo in The Guardian of the troublesome black widow spider. 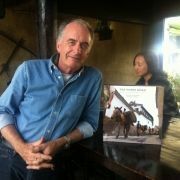 Photo by John Robertson. Creative photography often involves problem solving. 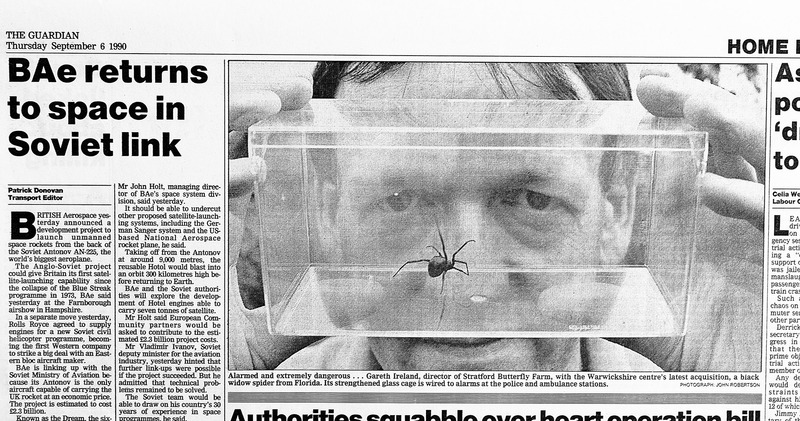 My photo for The Guardian of a black widow spider is a good example of this. The week before I arrived to photograph the venomous arachnid, a BBC TV crew had visited the butterfly and insect farm and encountered the same problem I faced. Namely a double layer of glass in its new home- very reflective glass. A simple solution which the BBC camera crew solved quickly- take the spider out of its glass case! Now whilst this is a great thing for the photography, it proved not to be so great for the keeper. The spider ran up the forceps he was using and promptly settled on his bare arm where it stayed while he perspired rather more than normal. Meanwhile the cameraman carried on filming with a horrid kind of fascination. Eventually the keeper plucked up the courage to knock the spider back into its enclosure. Understandably he wasn’t too keen to repeat that experience just for me to get some photos. In this case thinking out of the box involved me buying one- a Perspex box of chocolates. The staff received a treat, the keeper easily knocked the spider into the box and sealed its lid on and I was able to get a photo that made it into the paper. 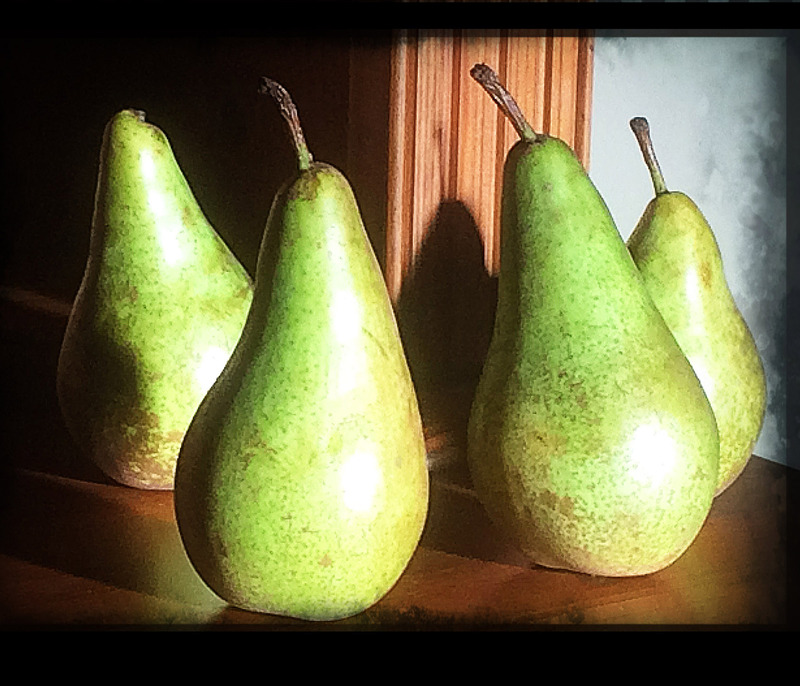 iPhone photo of pears on my dresser at home.Photo by John Robertson. Being creative and thinking out of the box isn’t something that just stops when you put your camera away. Some of my finest images have been made with just my eyes! Yes, that’s right- you should never stop being creative or thinking about creativity. These days, like most of us, I always have my mobile phone camera close to hand and if I see something like sunlight falling on the fruit on my dresser at home then it’s only natural to capture that image for posterity. 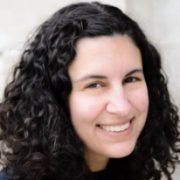 The same often happens on the way to or from a paying job and if an opportunity presents itself then whenever time allows, I avail myself of it because you never know if you might get a second chance. This replica U-boat conning tower is a good example of that- taken one evening as I made my way back from a job. It’s a prop from the film ‘U-571’ and as far as I know is now gone forever as the plywood was rotting away even as I shot this image. 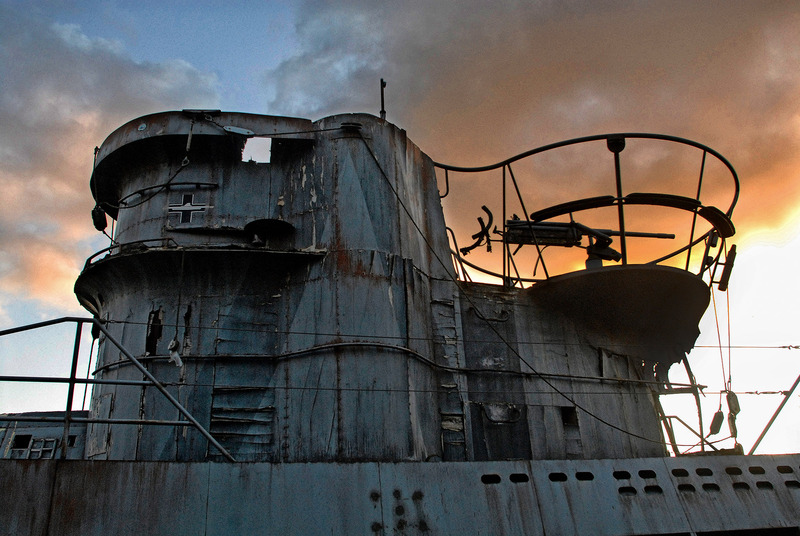 Film prop for ‘U571’.Photo by John Robertson. So if I was able to go back in time and speak to my seventeen year old self, what advice would I give? I think number one is thinking out of the box and not always going for the obvious photo. Think what else you could produce. Dare to be different. Don’t follow the crowd. At an event, go take a look around the back and see what is happening off stage. If there is a problem with the weather like heavy rain, or fog or wind, see if you can use that to your advantage like I did with my photo of the author Alan Moore taken for The Atlantic Magazine. A really blustery day is effectively a free wind machine! 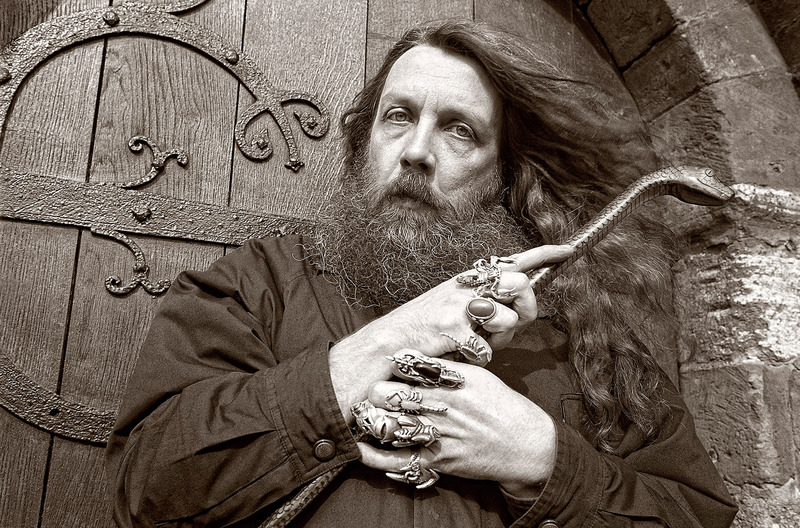 Writer Alan Moore photographed on a very windy day.Photo by John Robertson. 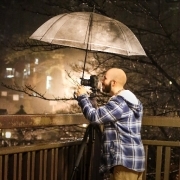 Don’t be constrained by lack of equipment or think that you have to have the latest gear. The most important pieces of equipment you possess for taking creative photos are your eyes and your brain. Each of us is unique and we all see things differently. As a seventeen year old from a tiny village in a remote part of the UK, I was pretty shy at that age. But the wisdom of age has taught me that as you get older the shyness recedes and often just talking to people brings the best opportunities and certainly helps with portrait photography. The years have also taught me not to hesitate. If you see a great photo then take it right there and then! Even if it’s not perfect lighting or other elements are missing. You can always improve on things but sometimes you only get the one chance and things happen so fast that while you are thinking about it, that chance has gone forever. Keep an open mind about things too. Don’t go to an event or a photo job with a list of preconceived ideas. That’s the way to miss off the cuff things that happen as events unfold. A photographers lighting and composition skills become pretty much automatic as you get older. So I would tell the seventeen year old me to really practice those and to analyse the work of top photographers, artists and watch as many films as I could to see how they are lit and how the shots are composed. Most of all have fun and don’t be afraid to experiment. Like my waxy monkey tree frog image. After taking lots of different photos none of which really grabbed me, its owner said “Next you will be asking me to put it on my head”. Which hadn’t occurred to me. So I did. 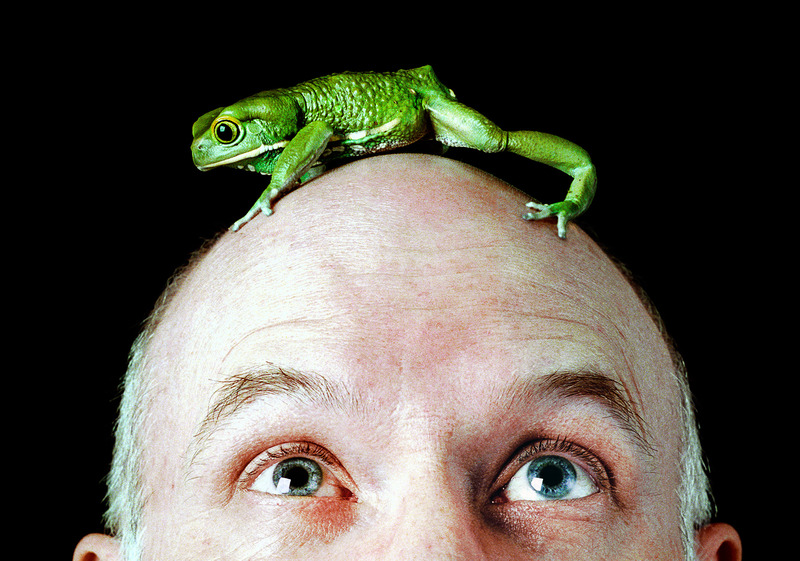 An owner with his exotic pet frog.Photo by John Robertson. 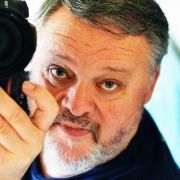 John Robertson is a Manfrotto Ambassador and freelance photographer with the UK National and International press. 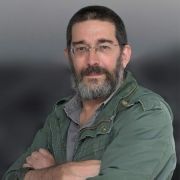 He also works for commercial clients and produces both editorial and commercial videos.